Eat, drink and cheer for your favourite players through this football mania! Mumbai, 6th June 2014: With the sports fever in the air this season, prepare yourself to enter yet another extravaganza with the Fifa World Cup 2014. Starting from 12th June till its finale on 13th July, put on your sports gear as you dig into delicious plates of scrumptious food and delectable drinks with the special ‘Stadium Menu’ at Chili’s ® Grill & Bar, America’s leading casual dining chain. Hold tight to your cold jug of drink while munching into mouth-watering dishes and watching the football matches at Chili’s® Grill & Bar’s 120 inch screen and cheering for your favorites along with your friends. Enjoy the nail biting cliff hangers between Cristiano Ronaldo and Lionel Messi by biting into the Ultimate Dipper where the vegetarians can select from Texas Cheese Poppers, Paneer Bites, Southwestern Rolls and Fried Paneer Quesadillas Bites, while the non-vegetarians can choose from the Wings Over Buffalo, Boneless Buffalo Wings, Crispy Crispers and Big Mouth Burger Bites. For every penalty shot made by Diego Costa try the Chicken Wings Trio with five different dips, Honey Chipotle, Garlic Parmesan, Wing Sauce, BBQ and Orange Habanero or with every red card against your opposition team indulge yourself with the Quesadillas Platter consisting of the Bacon Ranch Chicken Quesadillas, Chili Shrimp Quesadillas and Paneer or the Jalapeno Buffalo Meat Quesadillas. 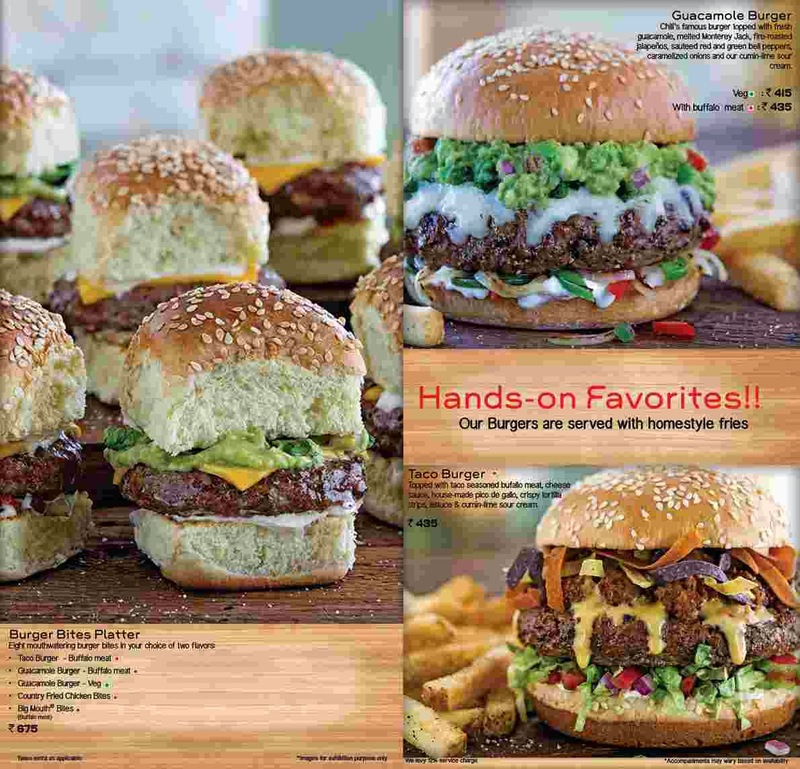 For every goal scored by Wayne Rooney or Franck Ribery or Neymar Jr., treat yourself to the Burger Bites Platter consisting of the Buffalo Meat Taco Burger, the Buffalo meat Guacamole Burger or the Veg Guacamole Burger or the Buffalo Meat Big Mouth Bites, Guacamole Burger in veg or Buffalo meat or the Taco Burger in Buffalo Meat. Finally with all the cheering and shouting for your favorite team whether it be Brazil, Germany, Spain, England or France, refresh your vocal chords by tasting our flavorful cocktails such as Presidente Margaritas, Appletinis, Lynchburg Lemonade or the Texas Tea and keep the FIFA Fever at an all-time high, pun intended! 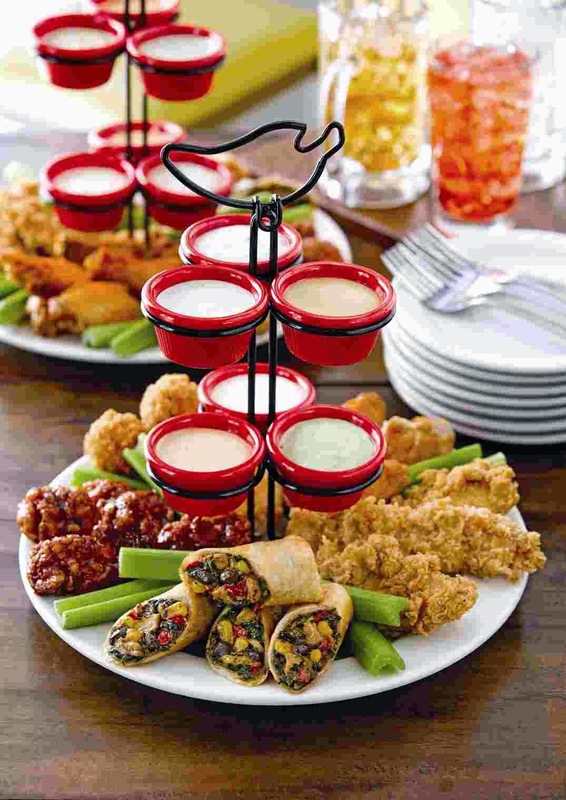 Chili’s® Grill & Bar, is the leading American casual dining restaurant chain present in over 1500 restaurants in 33 countries worldwide including Canada, Mexico, Puerto Rico, Venezuela, Egypt, Kuwait, Russia, UAE, Germany, India, Japan, Singapore and South Korea amongst several others. 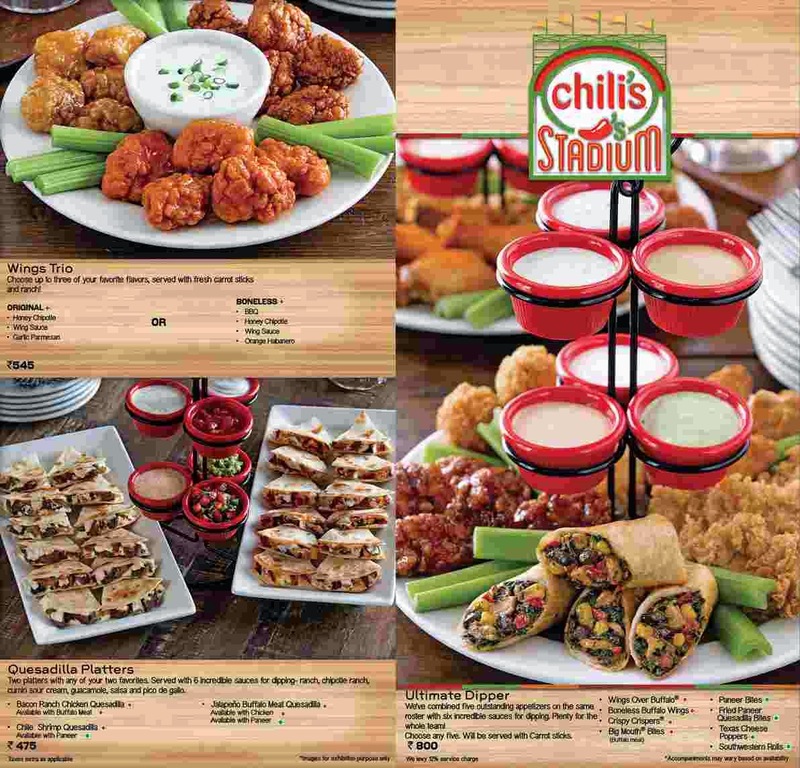 With a pan-India proliferation, Mumbai, Pune, Hyderabad and Bangalore are the cities that constitute the Southern & Western markets for Chili's in the country. What started in 1975 in Dallas, Texas with 11 Southwestern-inspired dishes and trademark beverages, now serves some of the best appetizers, soups and chili, salads, burgers, sandwiches, quesadillas, chicken and seafood entrees, fajitas, ribs, steaks and desserts available in India.